If you like your poker with a touch of high octane, then you'll love Euro Poker this winter. The hot new poker room is giving away one of the hottest new motor cars, a Porsche Cayman S.
Starting from this week, players who join Euro Poker, make a deposit and earn 200 player points before December 31st, will be entered into the prize draw for this awesome piece of motor car engineering. You might think thousands will enter this competition and your chances of winning will be slim. Well, you'd be wrong! This competition is limited to 1000 entries so your chances are actually pretty good. Euro Poker is one of the newest poker rooms around. They run advanced poker software designed for Europeans only. They have regular promotions, currently including a daily $500 freeroll and a first deposit bonus of 50% up to $100. 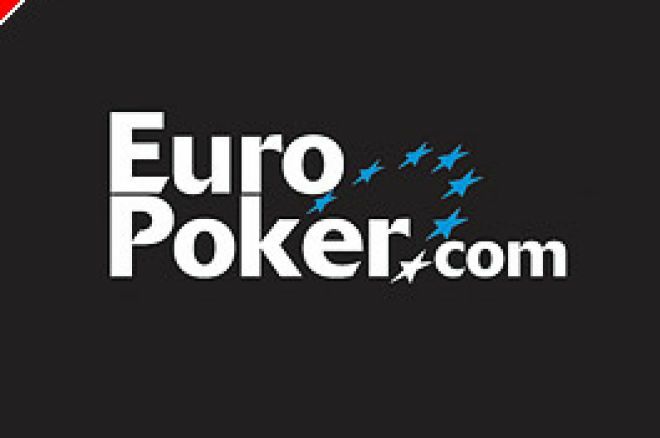 Euro Poker is the latest poker room to emerge from the famous OnGame network. With up to 20,000 players from all over Europe online at any one time, Euro Poker resides amongst the biggest poker rooms on the internet today. You don't need to have windows to run Euro Poker either. Got a Mac or Linux? That's no problem, Euro Poker's software is friendly to all operating systems. Join Euro Poker today to claim your $100 bonus and a chance of driving away in a new Porsche.